With all the revisions, Chrysler reasserted its minivan leadership against a growing number of serious competitors. They remained the best-in-class minivans because they were carlike to drive and offered a range of models and features that no rival yet matched. 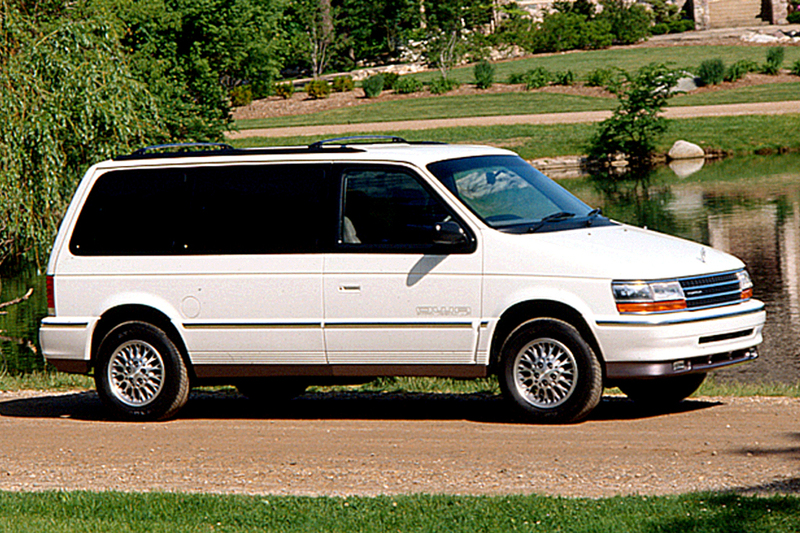 Chrysler unveiled the second generation of its minivan trio in 1991. Major additions included optional antilock brakes and new all-wheel-drive models. The standard-wheelbase Plymouth Voyager continued to be marketed in base, SE, and LE trim levels. The longer Grand Voyager models were provided in SE and LE guise. Under the hood, the regular length models had a naturally aspirated 2.5-liter 4-cylinder as the standard engine and a 3.0-liter V6 as an option. 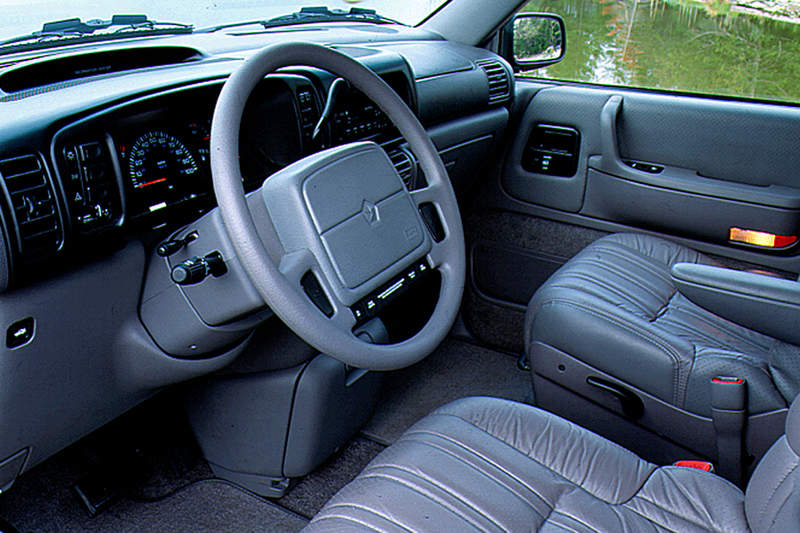 A 3.3-liter V6 was standard on Grand Voyagers and optional on regular-length SE and LE models. Four-cylinder Voyagers came with a 3-speed automatic transmission; in short-wheelbase models, the V6 engines were available with either a 3- or 4-speed automatic, while all Grand Voyagers had the 4-speed gearbox. AWD models required the 3.3-liter V6 and used a permanently engaged full-time system. 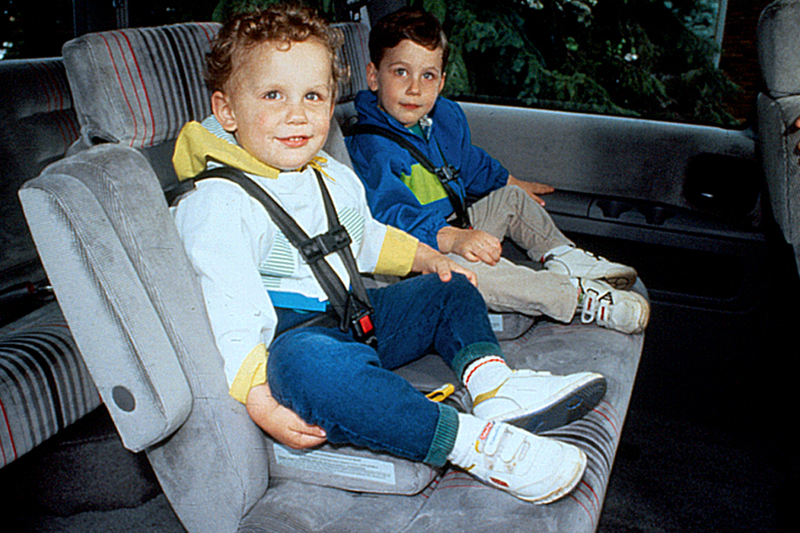 A driver-side airbag is standard for 1992, while Chrysler’s new integrated child safety seat is optional on the Voyager. 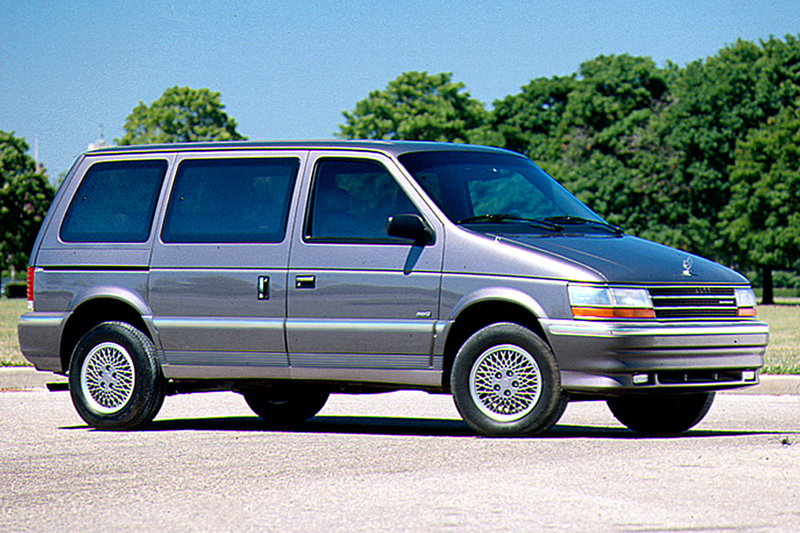 Among other changes for 1992, the Grand Voyager is available with a lower-cost powertrain. A 142-horsepower 3.0-liter V6 and 3-speed automatic can be substituted for the standard 150-horsepower 3.3-liter V6 with its 4-speed automatic. Also, the 5-speed manual transmission can once again be paired with the 2.5-liter base engine. On 7-passenger models, the optional Quad-Command bucket seats replace the middle bench seat. Also, the right bucket tilts forward to ease entry and exit to the rearmost bench. Among other changes, the front shoulder belts become height-adjustable and rear shoulder belts have lower anchor points. New safety features are added to the Voyager, including a passenger-side airbag and side door-guard beams that enable the Voyager to meet all passenger-car safety requirements through 1998. There’s also a new, more powerful engine option offered for 1994. A 162-horsepower 3.8-liter V6 is a new option for Grand Voyager LE models. The 3.3-liter V6 has been upgraded to produce 162 horsepower as well. Among other changes for 1994, the dashboard has been redesigned, and all models have new bumper fascias and body moldings. 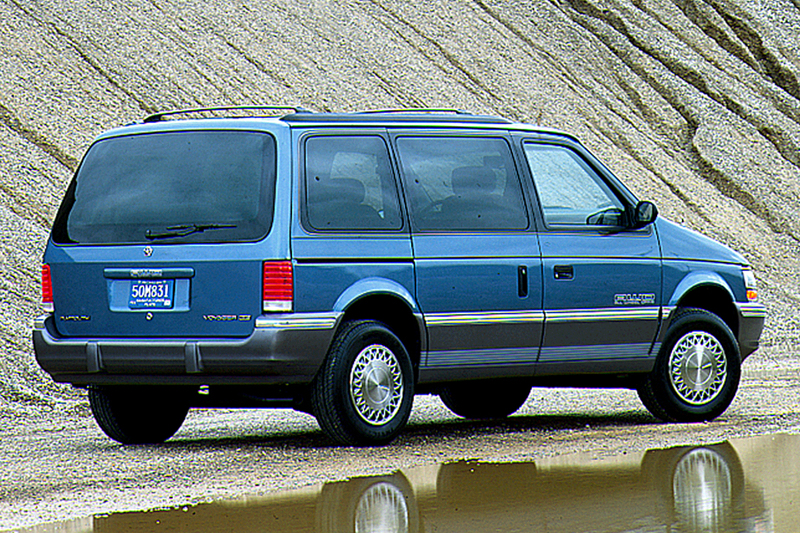 No major changes were made to the ’95 Voyager as a redesigned ’96 model debuted early. Regular-wheelbase models come standard with a naturally aspirated 2.5-liter 4-cylinder and 3-speed automatic transmission. It provides 100 horsepower at 4800 rpm and 135 pound-feet of torque at 2800 rpm. The optional engine is a 3.0-liter V6 that provides 142 horsepower at 5000 rpm and 173 pound-feet of torque at 2400 rpm. A 3.3-liter V6 is standard on Grand Voyagers and optional on regular-length SE and LE models. Manual transmissions were dropped for 1991, then returned as the standard gearbox for base-model Voyagers equipped with 2.5-cylinder engines for 1992-94. The manual transmission is then dropped again for 1995. The 4-cylinder Voyagers come with a 3-speed automatic in 1991 and 1995; in short-wheelbase models, the V6 engines are available with either a 3- or 4-speed automatic, while all Grand Voyagers have the 4-speed gearbox. The permanently engaged 4-wheel-drive models require the 3.3-liter V6. For 1992, the Grand Voyager is available with a lower-cost, 142-horsepower 3.0-liter V6 and 3-speed automatic in place of the standard 150-horsepower 3.3-liter V6 with its 4-speed automatic. For 1994, a 3.8-liter V6 is a new option for Grand Voyager LE models. It delivers 162 horsepower at 4400 rpm and 213 pound-feet of torque at 3600 rpm. Horsepower and torque for the 3.3-liter V6 that comes standard on the Grand SE have been upgraded as well, to produce 162 horsepower at 4800 rpm and 194 pound-feet of torque at 3600 rpm. For 1994, an overdrive lock-out switch comes on all 4-speed automatics paired with Chrysler’s three V6 engines. For 1995, a 3.3-liter V6 is engineered to run on compressed natural gas and comes packaged in a new CNG version of the Plymouth Voyager. The CNG engine produces 135 horsepower. The primary focus of their redesign was the interior, which shows marked improvements in important areas. First of all, key controls were moved so they no longer are blocked by the steering wheel. Headlamps and wiper/washer switches are now on two pods flanking the steering wheel. Among a variety of thoughtful touches, climate and radio controls were moved closer to the driver, a new center console now features pull-out cupholders, and a locking glovebox has been added to the passenger side. Visibility is better all around, but especially at the rear where the window dips further into the liftgate. A recalibrated suspension shows up in reduced body roll in turns, making Voyager’s road manners even more carlike. The Voyager steers precisely and has exceptional stability. On the road, Voyager is remarkably well-mannered for a minivan. Any of the 6-cylinder engines are preferable to the anemic 100-horsepower 4-cylinder. Power from the trio of V6s range from adequate with the 3.0-liter to impressive with the 3.8-liter. The 3.3-liter seems particularly smooth and responsive. Description: 2.2- or 2.5-liter engines may idle rough or stumble when first started below freezing temperatures unless a revised intake manifold (with an “X” cast into the No. 1 runner) was installed (1992), or a revised computer (PCM) was installed (1992-93), or the computer was reprogrammed (1994). Description: High-pressure hose in antilock braking system may leak or detach, which increases likelihood of brake lockup. Description: High-pressure pump of antilock braking system may be porous, resulting in increased stopping distances. Description: Liftgate-support attaching bolts can break, resulting in liftgate falling unexpectedly. Description: Steering-wheel mounting armature can develop cracks and separate from the center hub attachment to the steering column; can result in loss of vehicle control. Description: Piston seal in control unit can wear excessively; ABS could fail, and power assist might be reduced. Description: Seatbelt-release button can stick inside cover, so buckle is only partially latched; also, center rear-belt anchor clip can disconnect. Description: Due to improperly staked left windshield-wiper pivot drive arm, wipers could cease to function. Description: Zinc plating of some upper steering-column shaft-coupling bolts caused hydrogen embrittlement and breakage. Description: Brake-pedal pad attachment to pedal arm may not have adequate strength. Description: Fuel tank may drop, or lines may rupture near fuel tank, leading to possible fire. Description: Brake pedal pad attachment arm on small number of vehicles could break. Description: Bolts that attach gas strut to rear liftgate can accumulate fatigue damage, if loose; liftgate could fall suddenly. Description: Lug nuts on optional 15-inch stamped steel wheels may have been improperly installed, which could lead to wheel separation. Description: Liftgate support attaching bolts can break, resulting in liftgate falling unexpectedly. Description: Wiring that initiates driver and/or passenger airbag could short immediately after turning ignition key to “on” position, causing airbag to deploy inadvertently.